Dubai the business class lounge was amazing! The American Express lounge in Seattle. It is spacious comfortable and has delicious food!! The business class lounge in Dubai is amazing. Air France lounges in Europe. 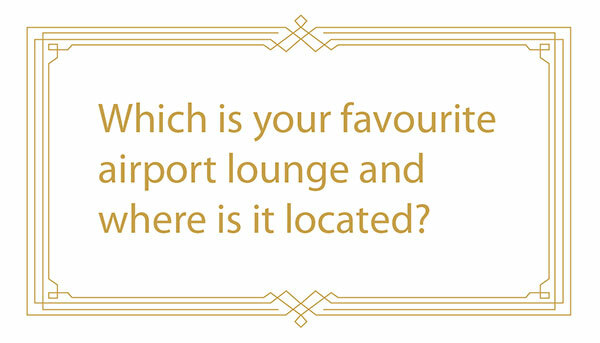 Any of the lounges located at the Frankfurt Airport. Heathrow. So much to do and fun people watching. I love the WestJet lounge in Toronto. My favorite lounge is in Las Vegas airport. Montego Bay club Mobay it has awesome food and drinks a bit smaller but that means it is not packed. My favourite is in Sydney Australia because it has many power charging points and shopping and food options and everything is clean. Premium plaza lounge Winnipeg. The staff is really friendly. Toronto airport – The new Air canada lounge termnil 1. clients who were delayed by 8 hours said it was wonderful. United in Houston International. Everything you need including shower facilities.